Evaluate the state's regulatory framework for personal care homes and assisted living facilities. 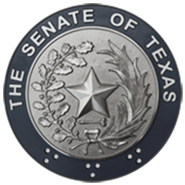 Recommend any necessary legislation to ensure quality of care and protection of Texans in personal care homes and assisted living facilities, including appropriate regulatory oversight. Evaluate the state's regulatory framework, including licensing, rates and methodology, for home health care and rehabilitation service industries, and determine whether changes are needed to assist and protect Texans in accessing these services.